Looking for Cummins diesel repair near Cotati? RPM Automotive Services is the Cummins diesel repair shop that you can trust. We are a family owned and operated shop that has been repairing diesel engines since 1982. Our entire staff are ASE certified, which stands for Automotive Service Excellence. This means you know you’re in good hands when you choose RPM Automotive to be your Cummins diesel repair shop. Our staff stays up to date with the latest technology, ensuring that while Dodge evolves, our repair techniques do as well. We want to make sure your Cummins can work as hard as you do. The Dodge RAM is both reliable and powerful, and when maintained should be able to haul just about anything you want it to, from trailers to boats. Have a company that is equipped with Cummins diesel trucks? We even offer fleet services. Give us a call today to inquire about our Cummins diesel repair near Cotati. We understand that life can be busy, which is why we offer a free shuttle service and loaner vehicles. Our goal is to make automotive repair as stress free and easy as possible. Whether you’re experiencing lack of power, a fuel pump issue, exhaust issues, or any other problems, we are the number one choice for Cummins diesel repair near Cotati. Interested in after-market performance for your Cummins? We install a variety of after- market parts, including BulletProof diesel products, Airaid Intake Filters, Magnaflow Exhausts, Kooks Headers, and more! We are your one stop shop for everything performance diesel. 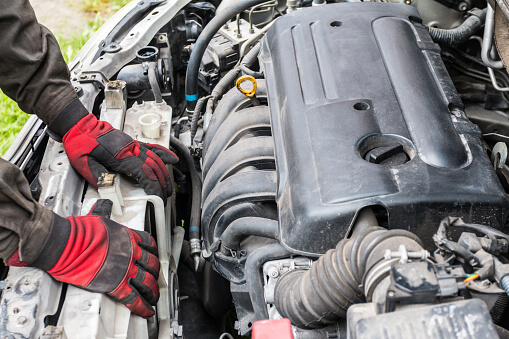 When you’re looking for the best Cummins diesel repair, trust the professionals at RPM Automotive Services to be the premier Cummins Diesel Repair Shop in the Rohnert Park area.